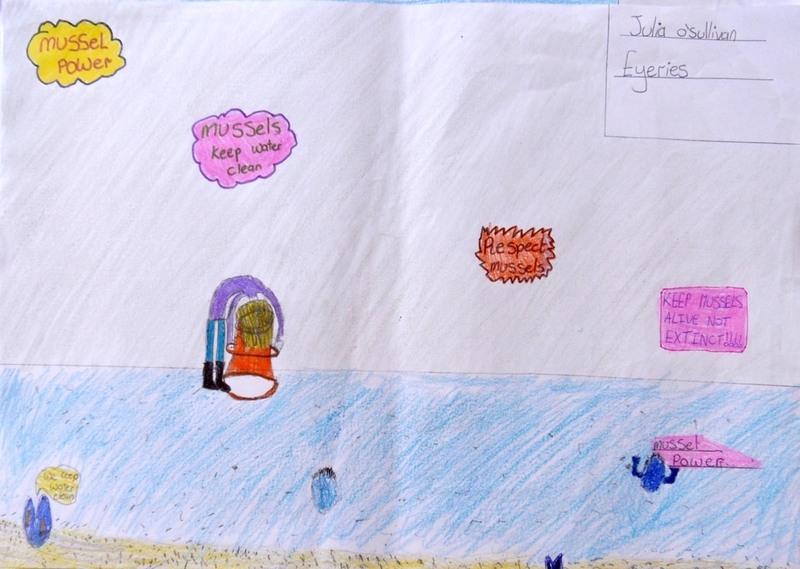 See all the latest news about the Pearl Mussel Project. Remember you can also check out the latest news on our Facebook page (links opposite). 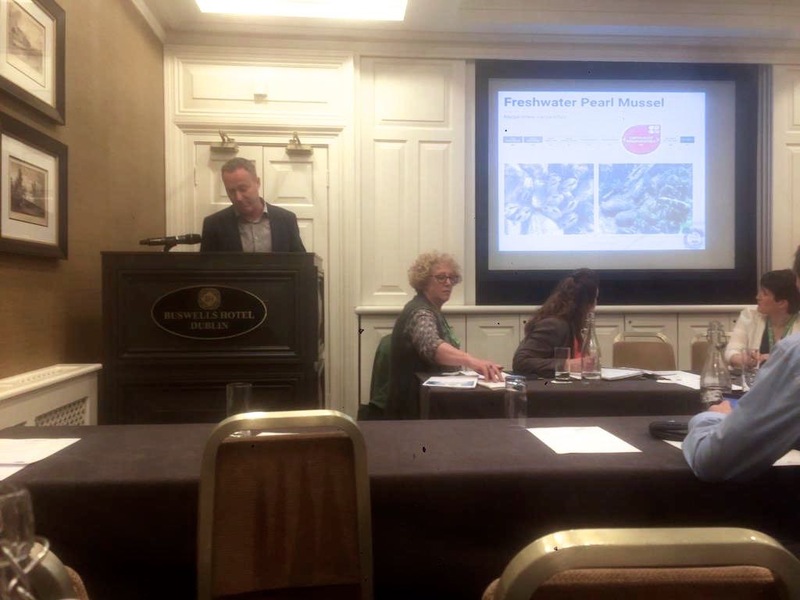 The PMP attended and spoke about the Pearl Mussel Programme at the EIP workshop and book launch in Dublin yesterday. 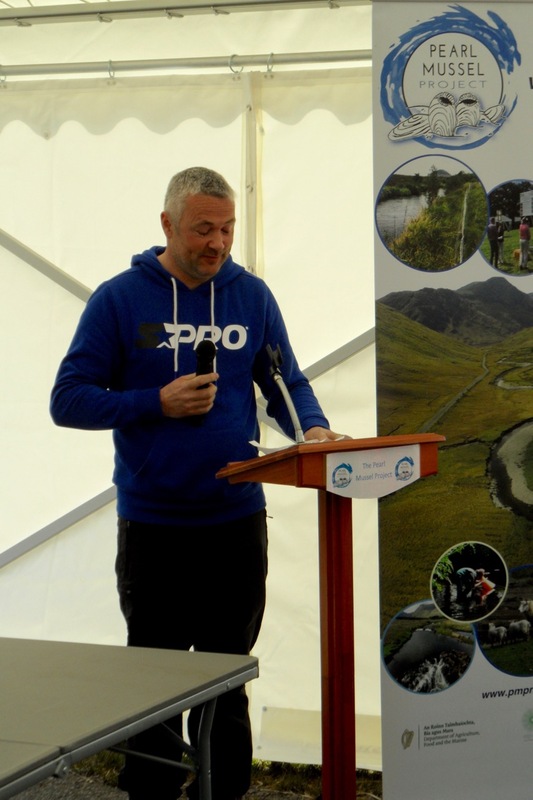 Dr. Paddy Crushell, Project Manager from the Pearl Mussel Project and Fergal Monaghan from the Hen Harrier project both gave great talks to the group on where both projects are and some of the lessons learned so far in these projects. The workshop also gave a great opportunity to meet the other EIP groups working throughout the country and share experiences. 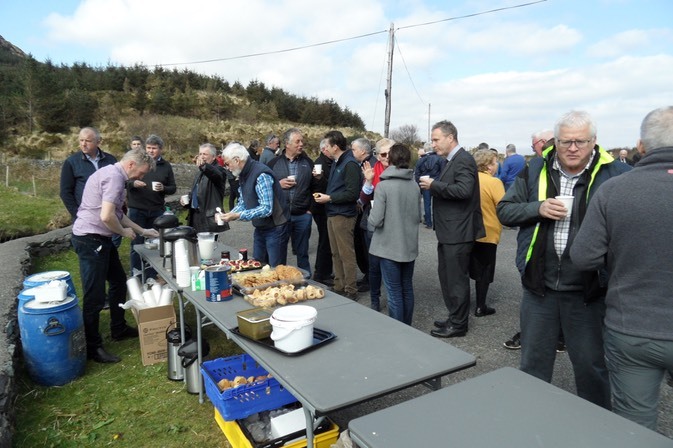 The PMP would like to remind all farmers interested in joining the Pearl Mussel Programme in 2019, that the closing date for receipt of Expression of Interest Form is fast approaching on the 30th April 2019. 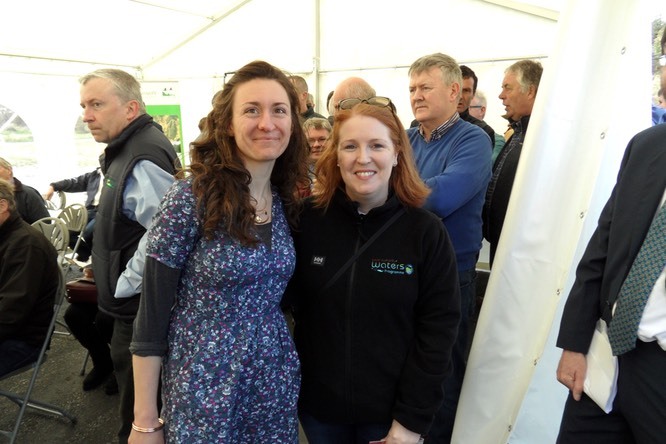 Our catchment officer Mary McAndrew was out yesterday in the Owenriff meeting farmers who hadn’t yet submitted an expression of interest form for the project. She got 5 new Expression of Interest Forms from local farmers and a farmer took some forms for his neighbours who were at work. 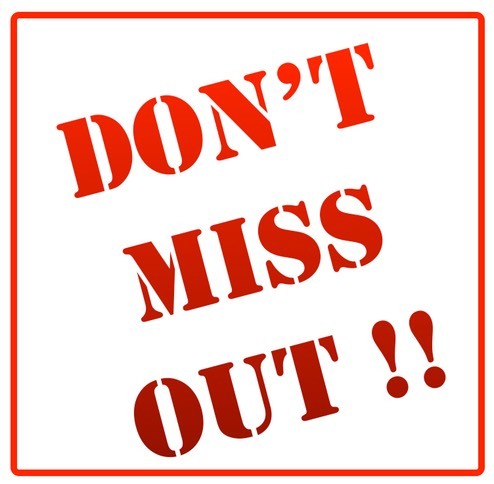 So don’t delay and register your interest in joining the scheme by completing and returning your Expression of Interest Form (PMPF1) which you can download from our website and check with your neighbours that they have done the same ! 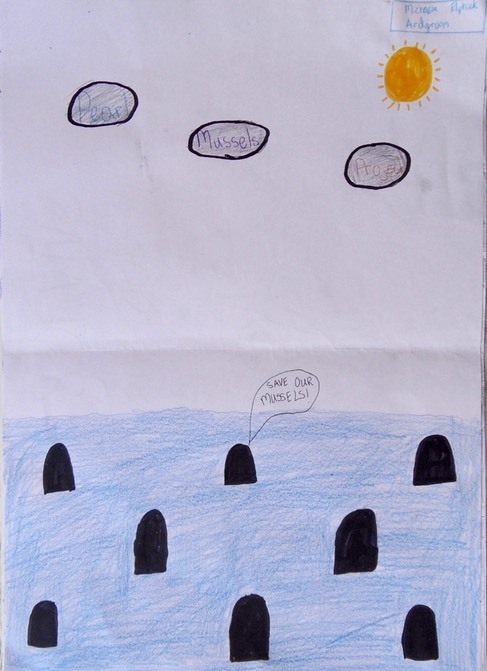 Last friday the Pearl Mussel Project had a visit from the Reeks EIP project team. 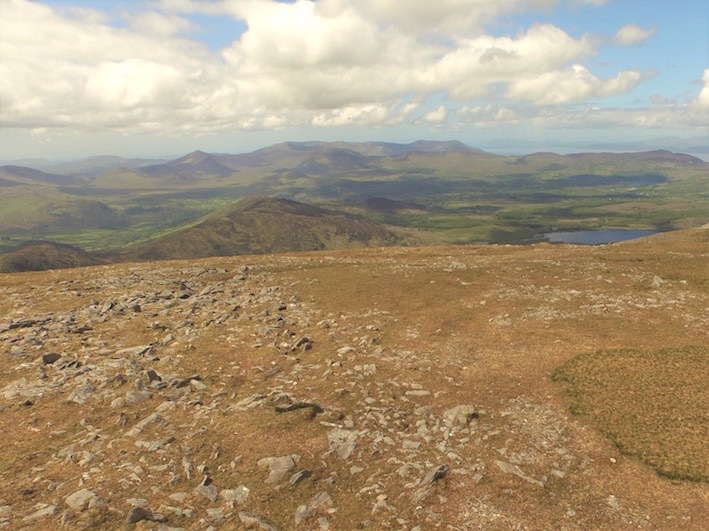 Both projects aim to enhance the nature value of the Reeks area in Co. Kerry, Ireland's highest mountain range, while rewarding farmers for the delivery of this valuable public service. We wish Patricia and her team well in the roll out of their project and look forward to working together in the coming years. 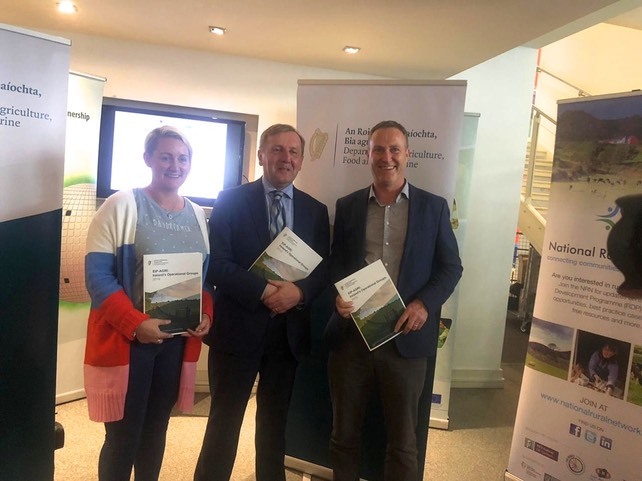 The Pearl Mussel Project have published a new document which sets out the Terms and Conditions of the Pearl Mussel Programme for farmers interested in joining the programme. 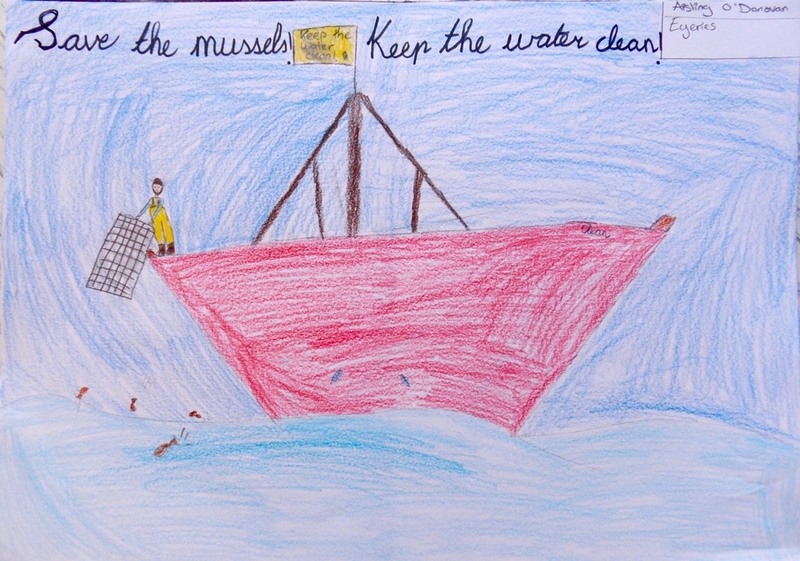 Further information on the administration and operation of the Programme is available on the project website (PearlMusselProject.ie). 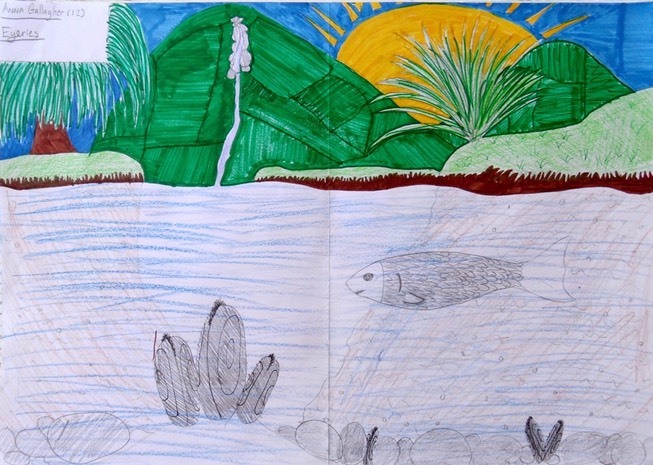 The programme aims to address the challenges of adapting the results based payments approach to target aquatic species, namely the endangered freshwater pearl mussel. It is an exciting opportunity for farmers to derive an additional income from their land and helps to secure the economic viability of agricultural enterprises. The Terms & Conditions booklet includes 29 sections covering all aspects of the programme. 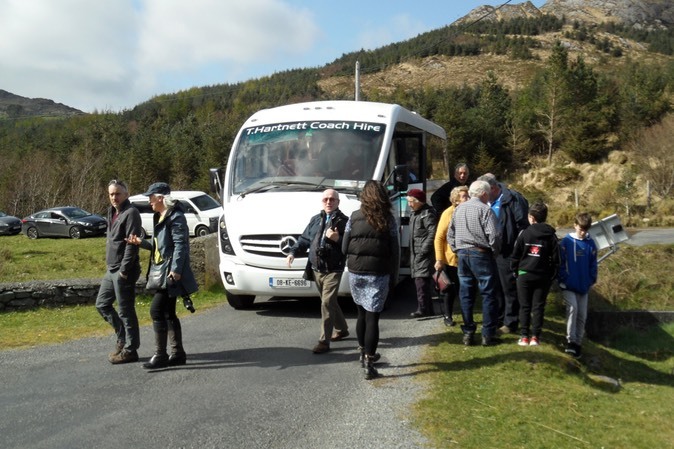 The Pearl Mussel Project is a component of the European Innovation Partnerships initiative under the Rural Development Programme (2014- 2020) under the remit of Regulation (EU) No 1305/2013 Of The European Parliament And Of The Council. You can download a digital copy of our Terms and Conditions and other programme documentation from the Publications page on our website or write / phone and request a copy. 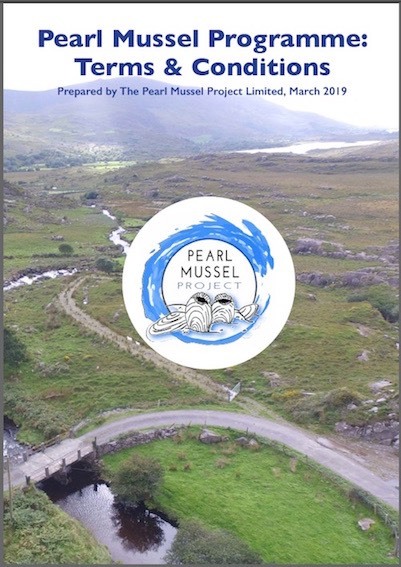 The PMP would like to remind all farmers interested in joining the Pearl Mussel Programme in 2019, that the closing date for receipt of Expression of Interest Form is the 30th April 2019. So don’t delay and register your interest in joining the scheme by completing and returning your Expression of Interest Form (PMPF1) today. Get the form here. 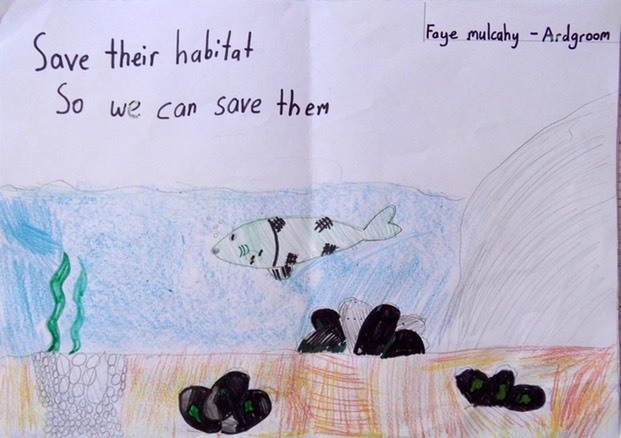 An special exhibition of inspiring artwork focusing on freshwater pearl mussel, was prepared by students from Eyeries National School and on display at the recent launch of the Pearl Mussel Project. 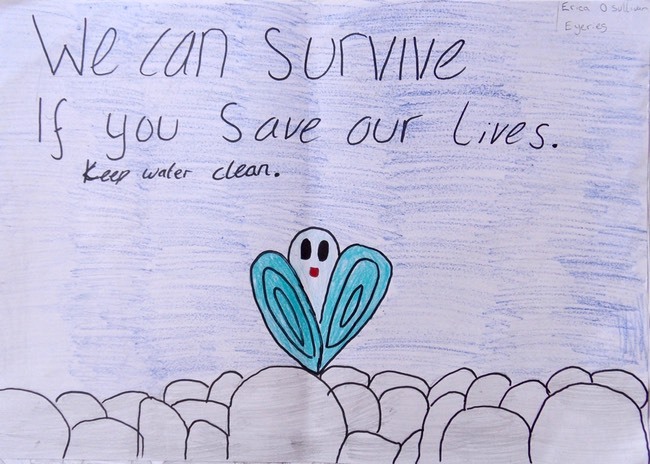 The students undertook the art project following a visit to their school at the start of March by staff from the PMP who introduced the students to the biology of freshwater pearl mussel and the steps needed to conserve the long term survival of viable populations of the species in Ireland. 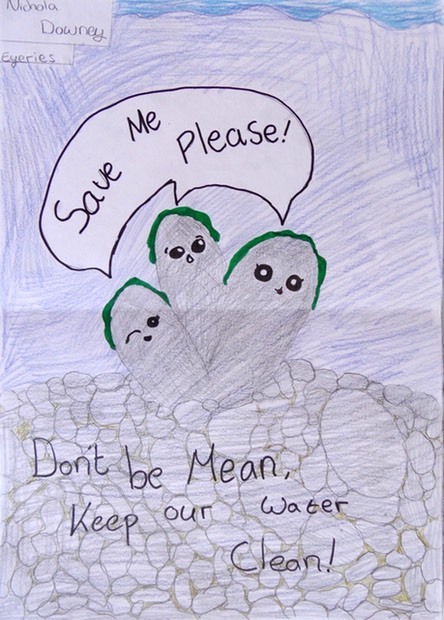 In In his speech at the launch, Minister for Agriculture, Michael Creed TD praised the young artists and highlighted the recent climate strike and the obligations on leaders to do the right thing for the environment and future generations. 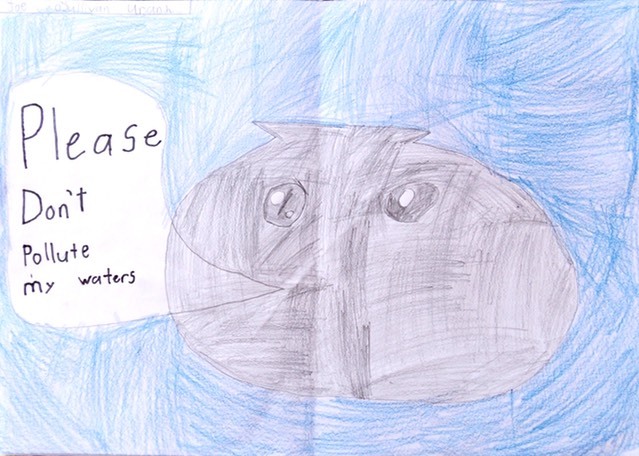 PMP wish to thank the students for their great artwork and support for freshwater pearl mussel. Minister Creed, ladies and gentlemen. 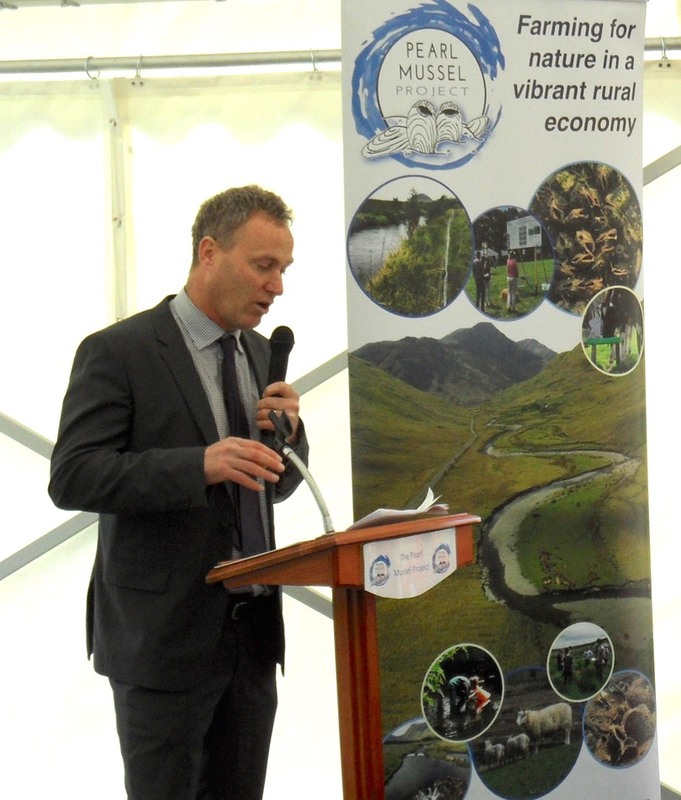 I am delighted that so many of you could take time out of your busy schedules today to join us for the launch of the Pearl Mussel Programme. 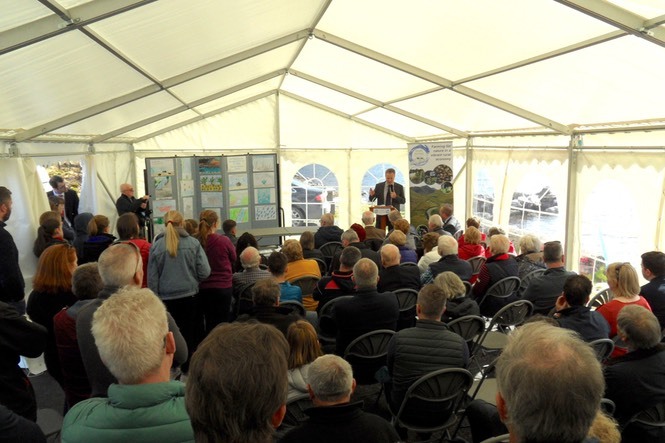 It is also great to see so many of the people from the Ardgroom area here - I think there were proportionally more people attending our meetings here than in the other catchments, suggesting a good level of interest in what we are aiming to achieve in this project. Luckily the weather has held up – the last time I was up here it was fairly windy and I am not sure the tent would have stayed standing!! I think it's appropriate that we have the launch at this fabulous location. 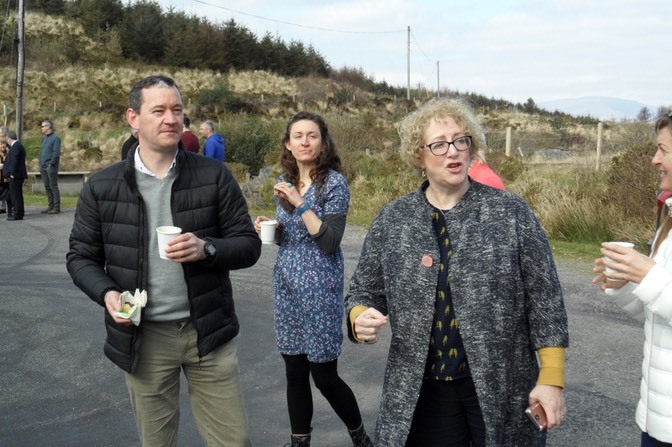 It is the perfect setting as it demonstrates the typical natural landscape that persists in all of our 8 catchments from west Cork to Donegal included in the Pearl Mussel Programme. And I'll explain this later but it's no co-incidence that these unspoilt natural areas support the largest remaining populations of Freshwater Pearl Mussel in Ireland. 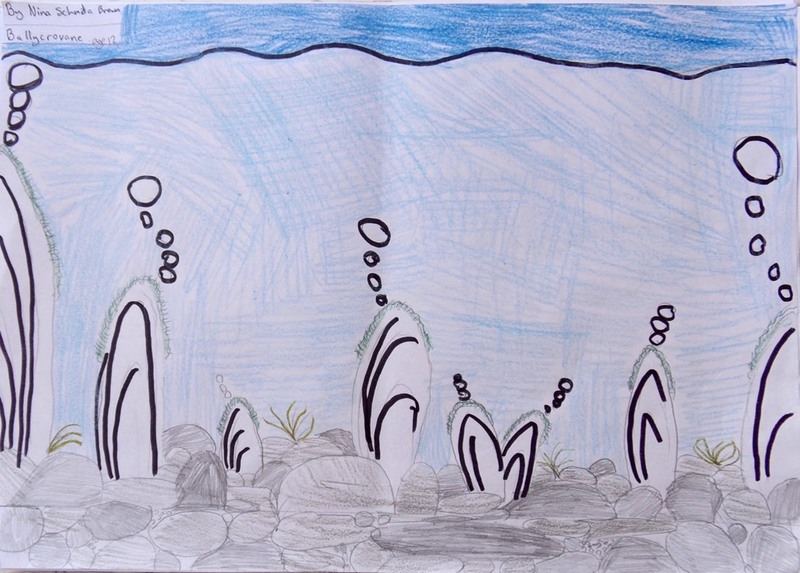 The mussels independent life starts as a microscopic larvae that is released into the water column by adult female mussels that spend their lives on the river bed. From here these tiny larva need to latch onto the gills of an unsuspecting salmon or trout within a day ... or they will die. Those that have this good fortune develop further while they are carried around by the fish for a year or so before they then drop of as tiny juvenile mussels. At this stage they fall onto the bed of the river, where again, if they have good fortune and land on clean gravel / sands, they bury themselves into the river bed where they grow as juvenile mussels for a number of years. When they are large enough to withstand the flow on the bed of the river they emerge, and then live out the rest of their lives as adult mussels, filtering up to 50 litres of water per day for the next 140 years ! 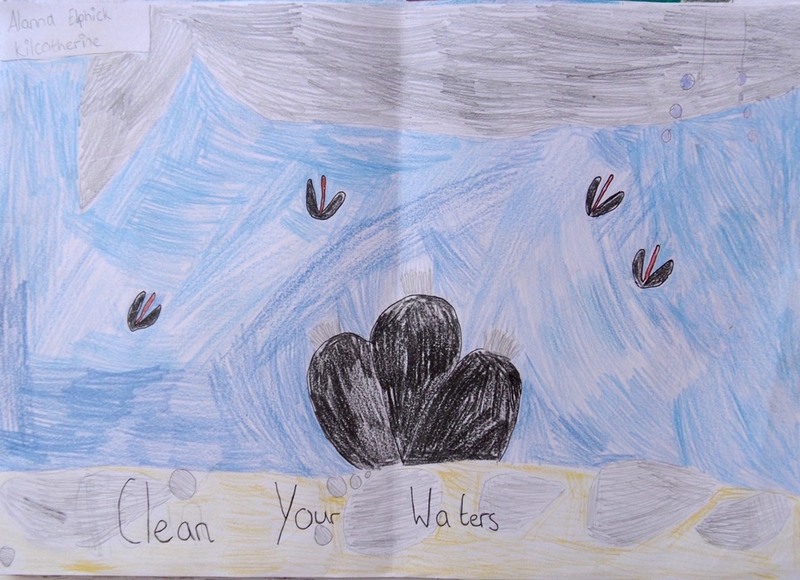 As you can gather there are many many natural obstacles for the mussels to overcome before they reach this adult stage, but despite the odds, Freshwater Pearl Mussel populations have survived for thousands of years in Irish rivers... It is only in the last 40 years with land intensification that we have seen serious declines. 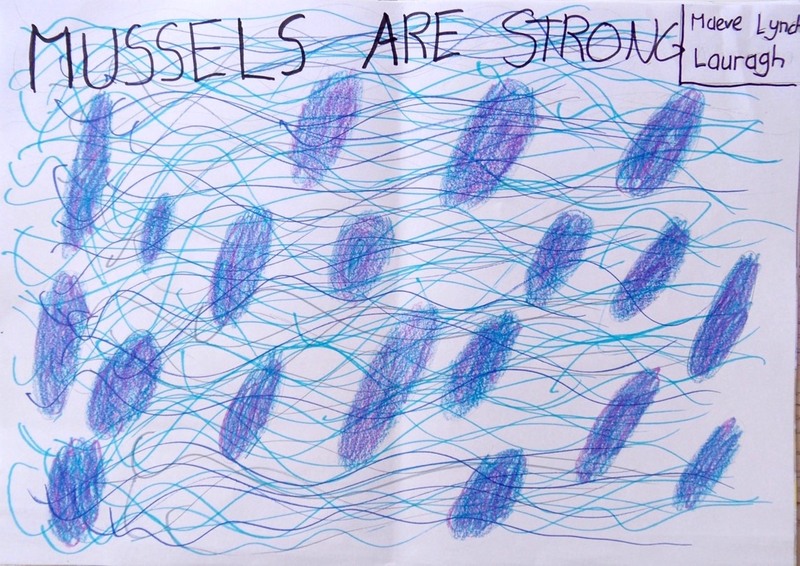 Most Irish populations are now on the verge of extinction, dominated by large adult mussels with few or no mussels making it through the juvenile stage.... So they are Ireland’s longest living animal, and to put that in context, individual mussels present in the Ownagappul River here have been present since the 19th Century, and it is possible that their grandparents were falling off the salmon or trout (at the very same spot that their descendents now live) around the time that O’Sullivan Bere left Beara on his long march up the country in the early 1600s!! Natural landscapes which are well recognised as improving the quality of life and wellbeing, and of course contribute to sustaining a growing tourism and recreation industry. 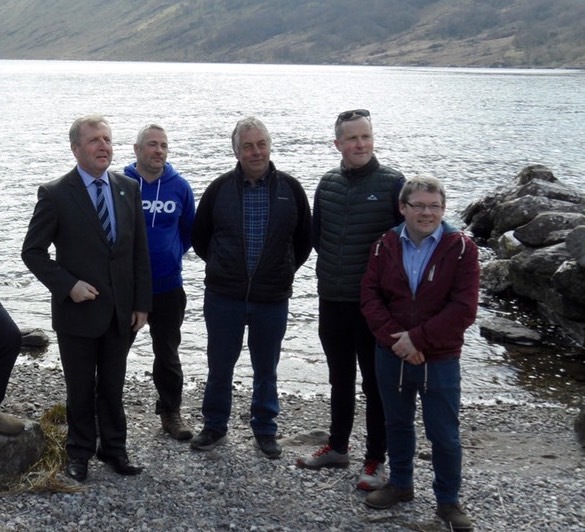 The Pearl Mussel Programme will reward farmers for farming their land in such a way that the mussel population survives and that local ecosystems continue to provide these important and valuable services. We are looking forward to building relationships and trust with the farmers throughout our 8 catchments. This is an opportunity for farmers to be involved in developing a farm scheme that will work for their local area and their means of farming. At the same time, farming in these areas is under severe pressure, and this certainly came out of our consultation meetings last year where terms such as ‘part time’, ‘difficult’, ‘abandonment’ repeatedly came up – but equally it was clear that farmers in these areas also have a love and pride in their local areas and the landscapes that they manage. We need farmers to continue to manage the landscape in these areas, but perhaps, the production driven agricultural model that has dominated recent decades needs to change, and adapt to instead acknowledging that some areas are more suited to delivering environmental products rather than the agricultural products. 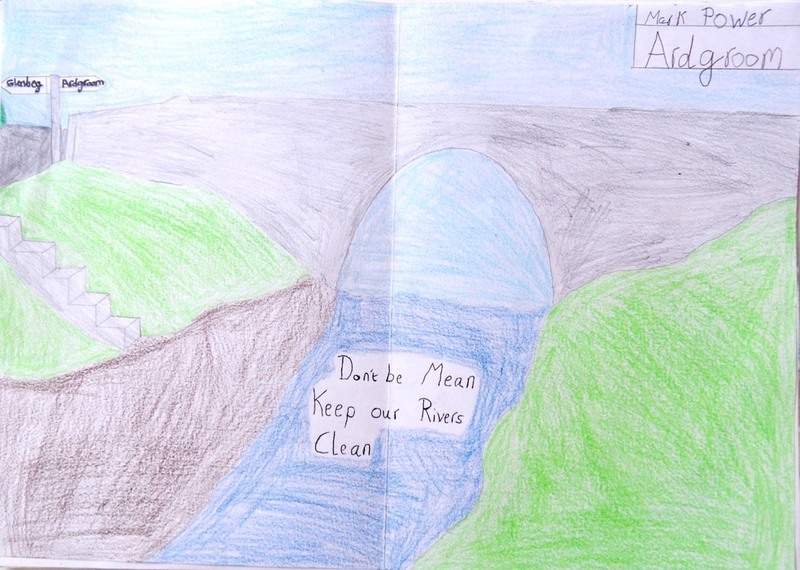 If society values clean water, natural landscapes, biodiversity, climate mitigation, well then we should be willing to pay a premium price to those delivering these high quality outputs, and just like any other market economy, the highest reward should go to those that are providing the best product. 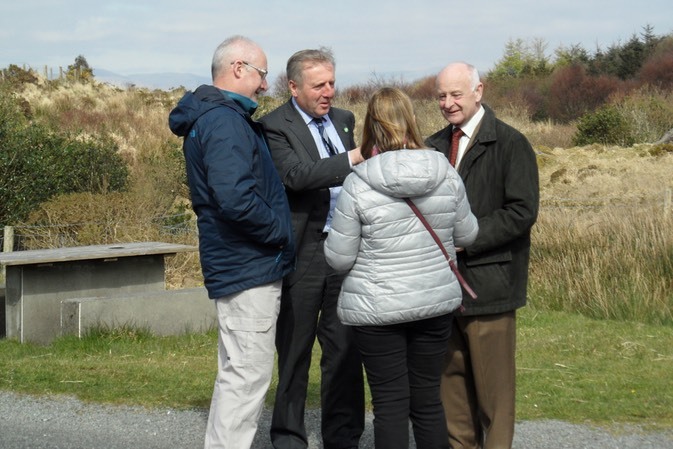 The results-based model that we are adapting to suit our objectives, has been developed very successfully in the Burren by Brendan Dunford and his team. 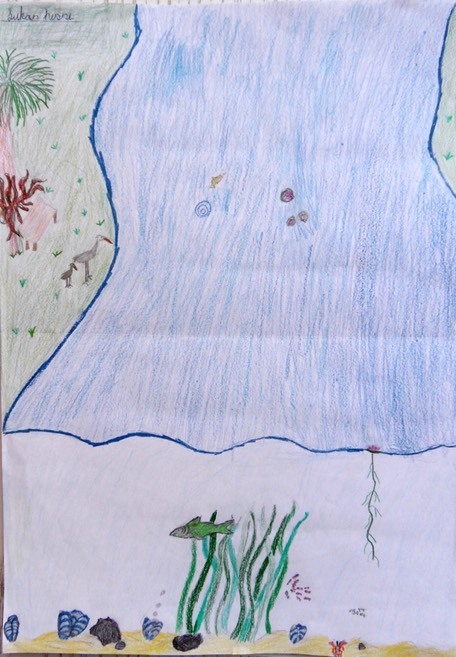 We are now hoping to show that this model can be applied to other high nature value areas, where in our case, Freshwater Pearl Mussel is the key feature of interest, rather than the flower rich grasslands of the Burren. 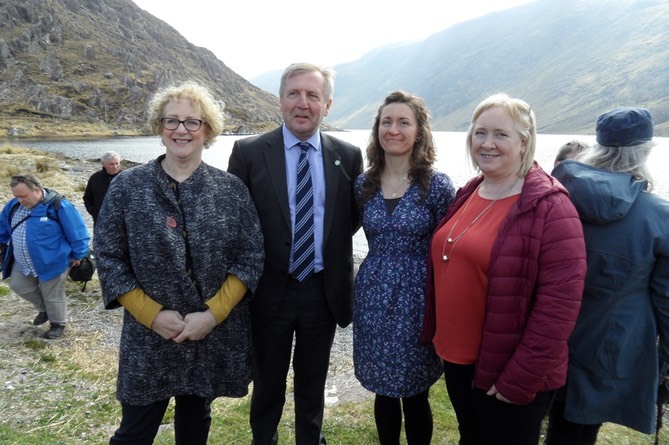 Another team I must mention is the Kerry LIFE Freshwater Pearl Mussel Project, an EU LIFE funded project partnered by the Department of Agriculture that has been operating in South Kerry for the past 4 years. Richard O’Callaghan and his team have worked with farmers in that area and have built a solid foundation for us to build on. Being a Kerry Man, I must admit to being a bit envious of Kerry LIFE, in that they were in the privileged position of only having to work with Kerry farmers ! However, my Kerry wisdom ensured I chose a wife with strong Beara roots which offers good consolation! We were delighted to be appointed by the Department to be trusted with developing this project, we feel we're in a great position as a team of ecologists and agricultural scientists to demonstrate how slight changes to policy can result in great benefits to both farmers and nature. The key for us now, as we’re continuously being told, is not to mess it up! 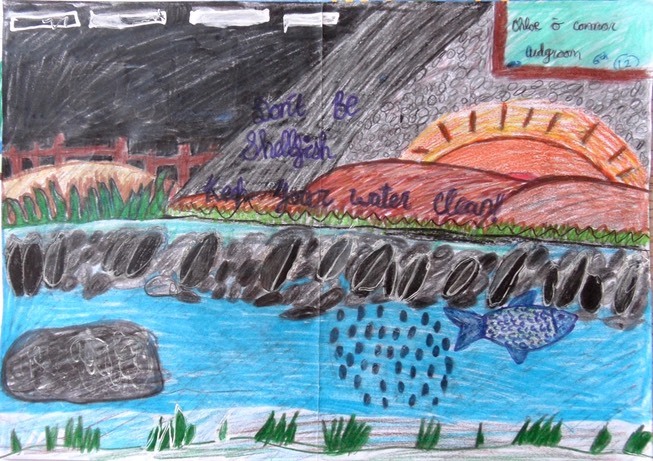 Seriously though we do see it as a great opportunity (and challenge) for us, to guide a project that has the potential to make a real positive environmental change in our local areas with long lasting sustainable outcomes. 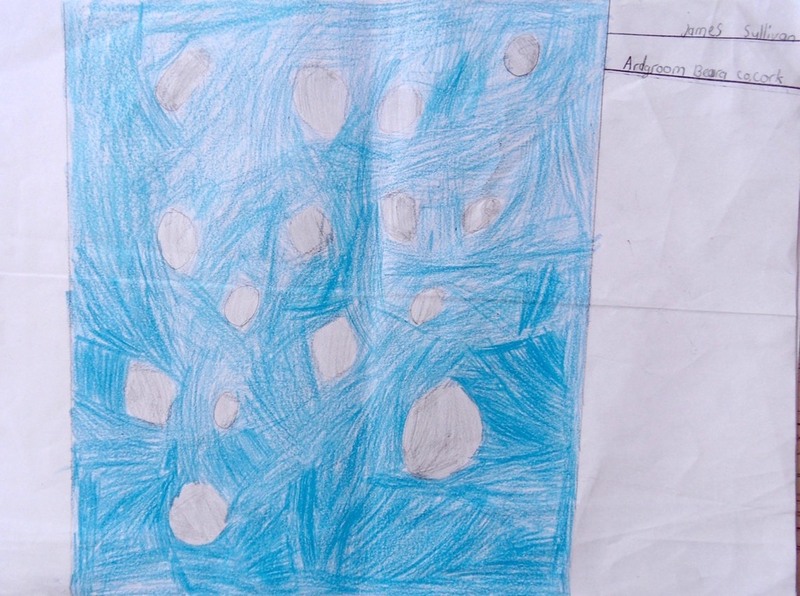 We would like to reiterate that our Programme will evolve…. to this end we ask farmers and others we are working with to be patient, tell us of things that don’t work for you (and of course the things that do work!) 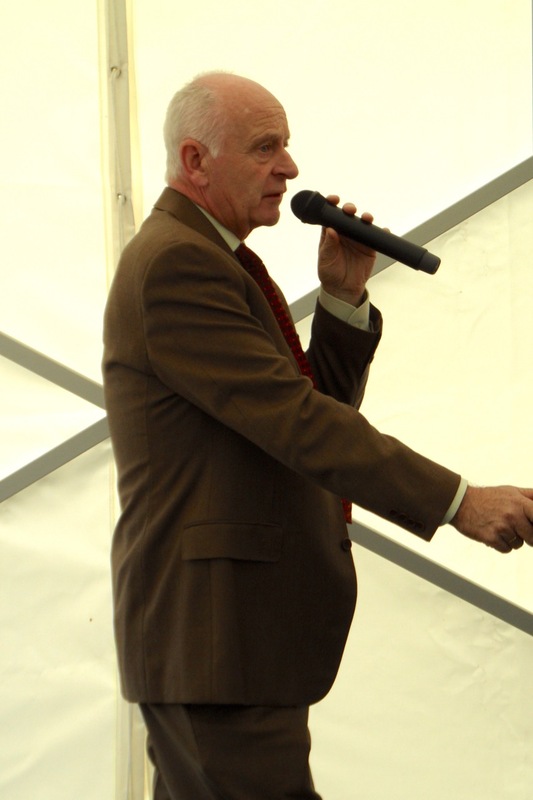 as Derek McLoughlin keeps reminding me, we need both a complaints and a compliments department!!…. so I’d ask ye not to forget that. 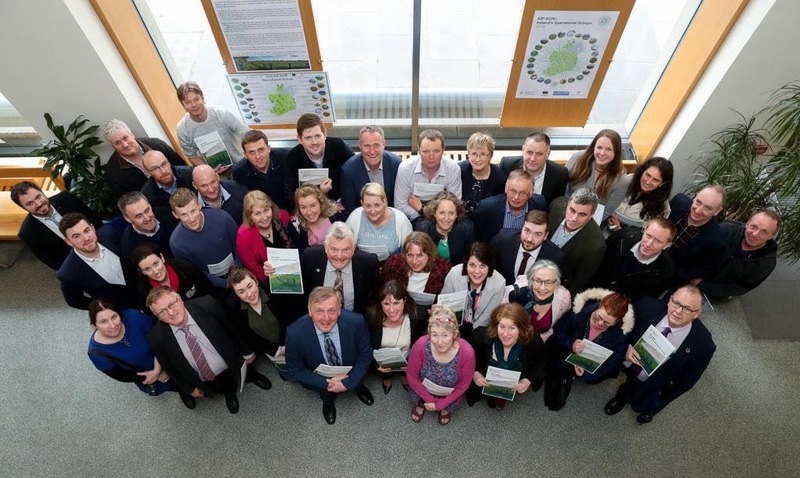 As most of you may be aware we are a European Innovation Partnership or EIP project funded by the Department under the Rural Development Programme. 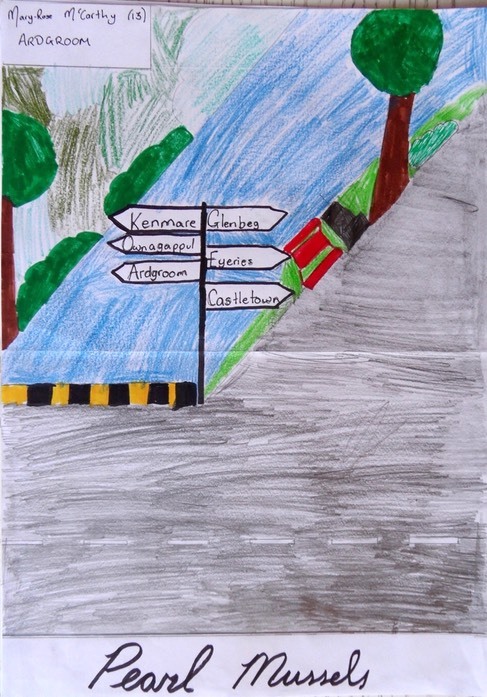 We are one of 23 of these EIP projects being rolled out across Ireland. I think it's great that the Department has progressed this initiative and that rural communities throughout Ireland will benefit. 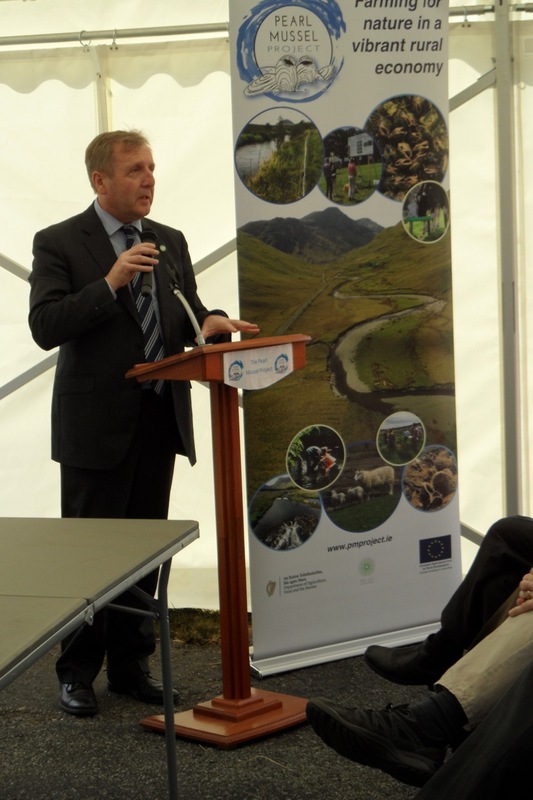 We are one of the biggest EIP projects in Europe and I understand the EU commission are impressed with Ireland’s adoption of the model and the results-based approach to agri-environmental schemes in general. I'd like to thank Margaret Murray and the locally led team in the Department, they’ve been a great support to us in getting the programme to this stage. The Department has been very encouraging of us and we are impressed by their willingness for us to try new approaches. 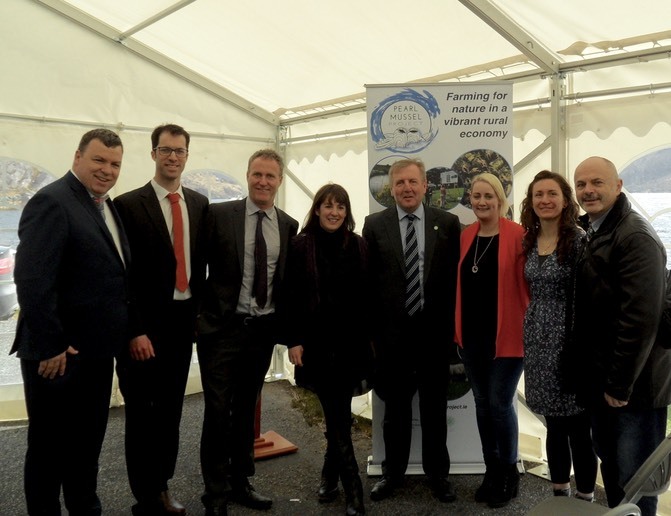 We are hopeful that the Department will further progress the interest in the results-based approach to agri-environmental schemes, and encourage them to incorporate some aspects of this into the next Rural Development Programme. While farmers are at the centre of the Programme we are keen to work with wider communities in our project areas, and we are eager to engage with local groups and support initiatives that dovetail with our own objectives. I'd just like to mention the local school in Eyeries and the vice-principal Micheal Lane and some of his pupils that have joined us today. 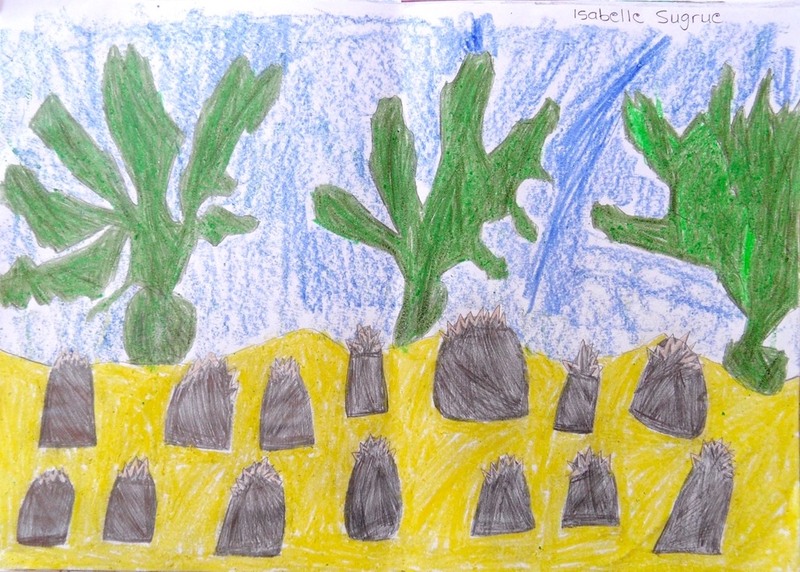 Mary Catherine Gallagher and Tara Challoner from the PMP team had an enjoyable visit to the the school recently, and the student's artwork is on display below here – and I think it's clear from the drawings that there is a great appreciation of the local environment among the next generation. 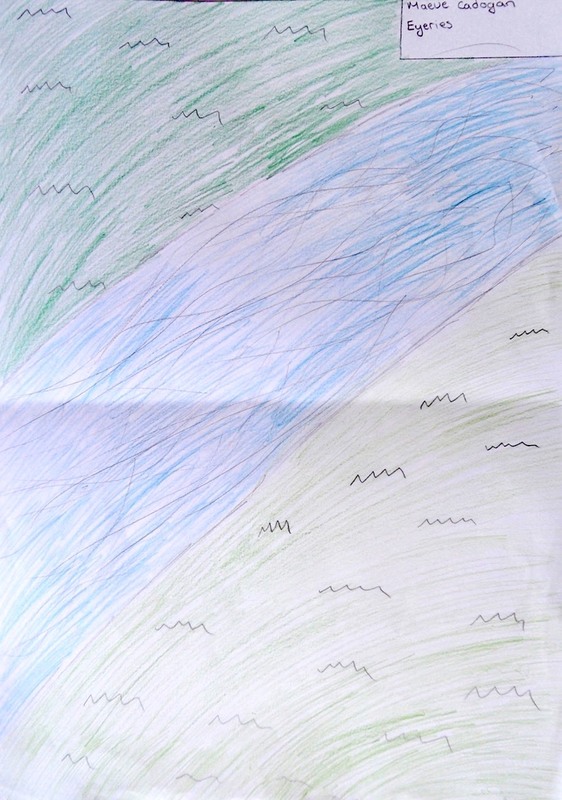 The day after the school visit 'twas great to unexpectedly receive a message from Seán Sullivan, a local pilot farmer we have been working with, that the topic at the dinner table the previous evening was the life cycle of the freshwater pearl mussel. Thanks to our steering group, some of whom were able to make it today, they keep us on the straight and narrow, their broad expertise is a great resource for us to draw on when required. I am lucky to be supported by a great team whom I wish to acknowledge, we have Derek McLoughlin who is managing things in the west and north-west with the help of Mary McAndrew, we have Mary Catherine Gallagher and Tara Challoner who are both in the office with me in Kenmare, and last but not least the great Dr Peter Foss who's been working with me on various projects for the past 18 years. And also, Tomás O’Conner and his team at O’Connor Pyne and Co who will be looking after the important accounting side of things and payments system. Again, many thanks for coming along today and showing your support and I hope to get the chance to chat with as many of you as possible later in the day. 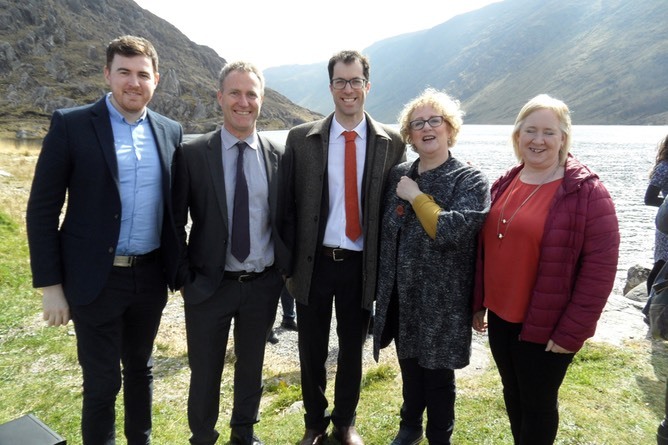 The Pearl Mussel Project were delighted to host the official launch of the Pearl Mussel Programme today in Ardgroom, County Cork. 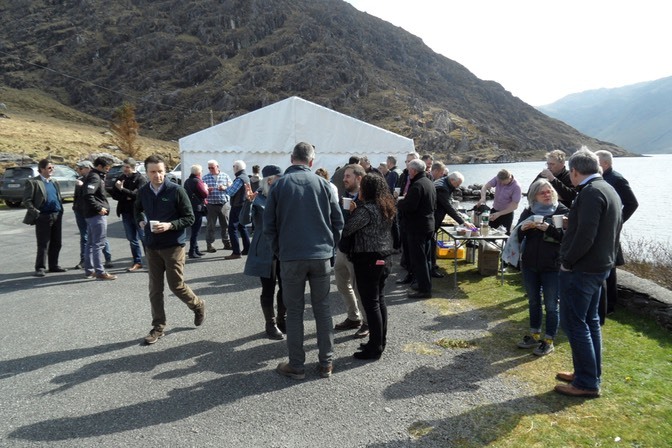 The official launch got under way at a gloriously sunny Glenbeg Lake, Ardgroom, with speeches from Minister Michael Creed TD (Minister for Agriculture), Michael Davoren (Burren Programme Farmer, 2018 Paddy Fitzgerald Award Winner), Patrick Crushell (Pearl Mussel Project Manager) and local pilot farmer Sean Sullivan. 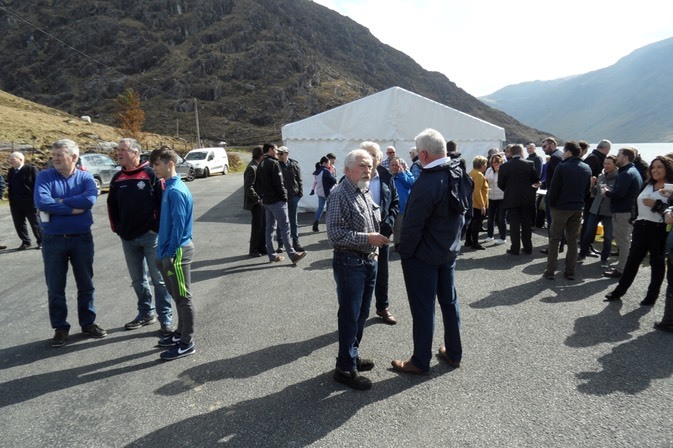 Following the official presentations in a marquee at Glenbeg Lough, shuttle buses ferried the 90 participants back to Ardgroom, where refreshments were served in the Village Inn. 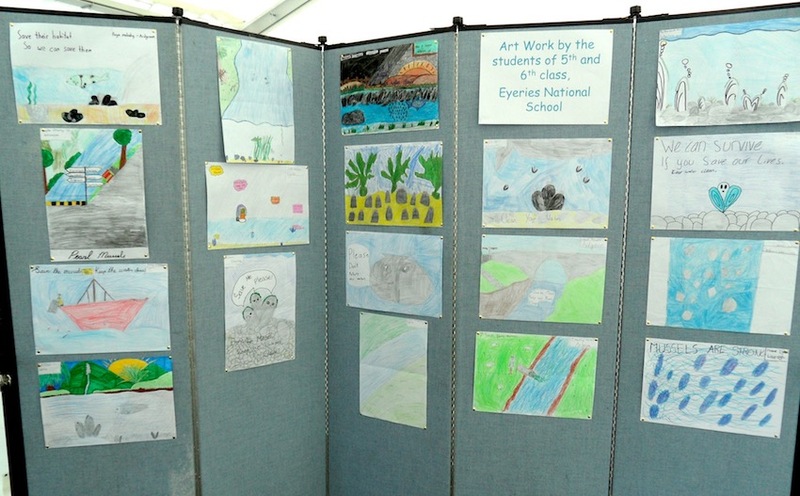 A special exhibition of artwork focusing on freshwater pearl mussel, prepared by students from Eyeries National School were on display at the launch. 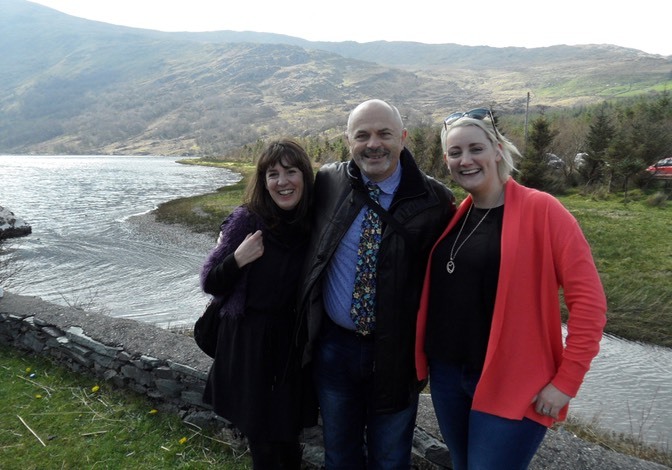 The PMP team were out on a glorious day in the Bunndorragha catchment last week visiting pilot farmer Colm Gavin. The project has been working with a pilot farmer in each of the 8 freshwater pearl mussel catchments included the project. 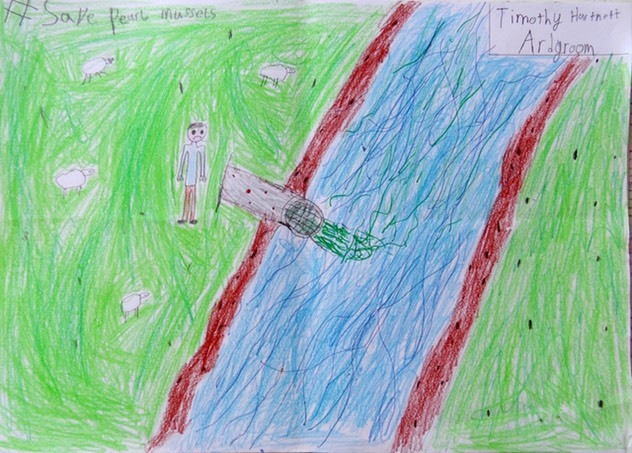 The pilot farmers have been helping the PMP team to trial assessment methods and discussing the development of supporting actions to help protect freshwater pearl mussel populations. 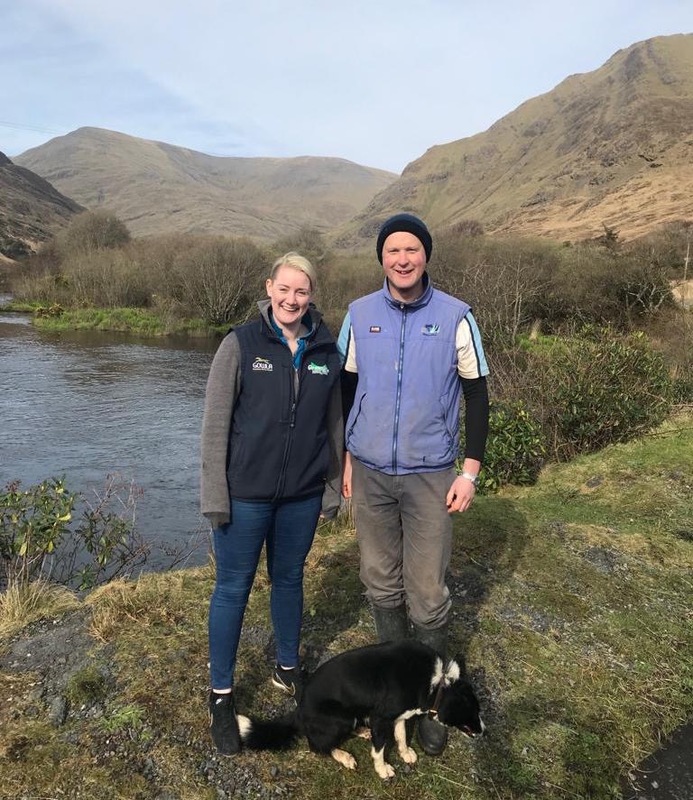 The picture shows Mary McAndrew, West and North West Catchment officer, with Colm Gavin in the beautiful Bundorragha catchment along with his sheep dog Cooley! 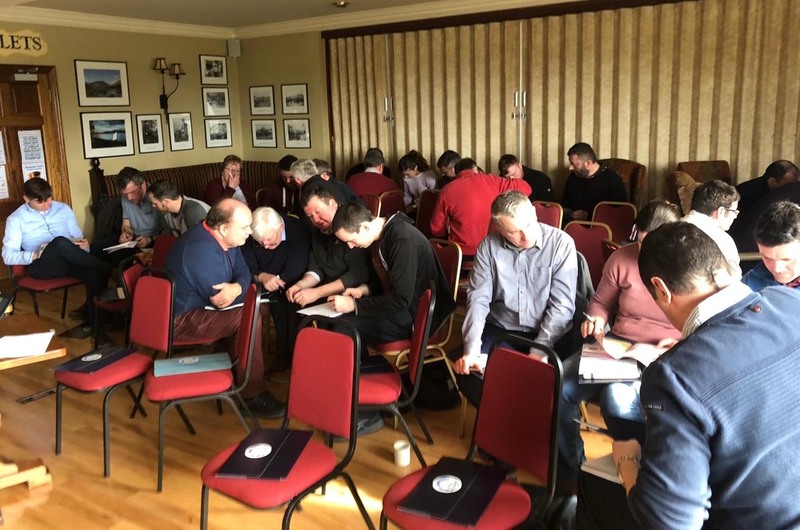 The Pearl Mussel Project had a great turnout for the second farm advisor training course in Killarney yesterday. In all, 60 advisors have now attended the first phase of PMP training. A further series of outdoor field training courses will be held for farm advisors by the PMP Team towards the end of May. Many thanks to Mary and all at the Blackwater Tavern for their hospitality.